Deciding what to do in Queenstown when you are visiting can be completely overwhelming and it’s not surprising really. How do you choose between a multitude of epic adventure and sightseeing missions all in the one incredible destination when there’s time constraints and often a budget? This picturesque lakeside destination is bursting with thrilling experiences to complement all personalities, from the timid adventurer to the extreme adrenaline junkie. So here I’ve listed a few of the best activities to do while you are in Queenstown. If you are looking for the most extreme experience to really get that adrenaline pumping through the veins then you can’t go past skydiving, bungy jumping or the Canyon Swing in Queenstown. These fear filled pursuits are guaranteed to have your heart rate thumping at an elevated pace. Whilst you can manage your extreme level, to a degree, when navigating these mad antics you might as well go for the most intense level of adrenaline, if that’s what you are here for. For skydiving, that includes embracing your fear and jumping from 15,000ft with Nzone Skydive taking in the mighty Southern Alps, the craggy peaked Remarkables range and spectacular Lake Wakatipu. What a sight to behold! If bungy jumping is your go to, you’d better take on the Nevis Bungy; NZ’s highest, delivering 134m of pure adrenaline rush out over the secluded Nevis River. 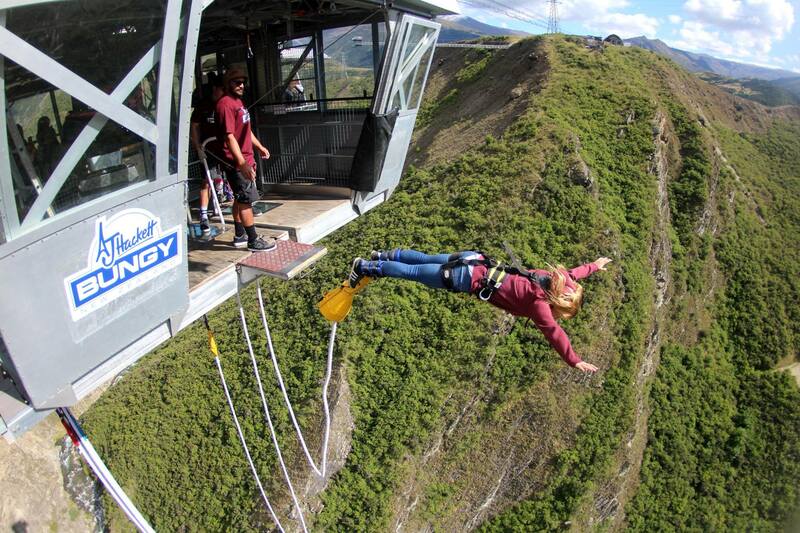 Or there’s the Canyon Swing, the world’s highest cliff jump at 109m over the famous Shotover River. Swing 200m out over the daunting Shotover River below and endure a 60m vertical freefall down a steep rocky cliff face. It’s worth noting that while these pursuits are an adrenaline junkies dream the teams that operate each of these ventures are also very accommodating to the more timid of us and are skilled at professionally and safely managing each individuals fear factor. So don’t completely discard these crazy activities if you’re more of a sightseer just yet. Why not head along as a spectator first to see what all the fuss is about! If you’re having trouble deciding which daring venture to do and want to conquer all three then combine them all together and create your own combo for an epic 2 days of thrilling and daring escapades in the world’s adventure capital! If it’s sightseeing that’s brought you to this piece of paradise in the Southern Lakes district then you have an abundance of mind blowing experiences on offer. Sightseeing in Queenstown can be done anywhere at any time. Just look around you as you walk the streets and you’ll be overwhelmed with jaw dropping vistas everywhere you turn. However, these captivating spectacles can get even better! It’s hard to go past grand Milford Sound and whilst you have the option of two equally magnificent tour options of driving or flying to Milford Sound from Queenstown my recommendation is with flying. With the flight option you will be treated to some of the most breathtaking panoramas in the world that only a scenic flight has the privilege of sharing. Just when you thought this visually stunning spectacle couldn’t get any better you can even opt to fly one way (or both) in a helicopter to experience a landing in the wilderness and surrender yourself in a majestic backdrop of soaring peaks. The only downside to this life changing experience is that it is weather dependent so make sure that if you choose to tick this dream off your bucket list then book for one of your first days in Queenstown so that you have time to reschedule if need be! If you’ve done the Milford thing but you’re still seeking those awe inspiring views and/or a scenic flight then you can match this euphoric encounter by embarking on a scenic helicopter flight out of Queenstown. I understand a flight experience doesn’t accommodate all budgets so if you’re striving for the ultimate panoramas that Queenstown reliably delivers but without the price tag of a scenic flight then check out the iconic lady of the lake, the Earnslaw. 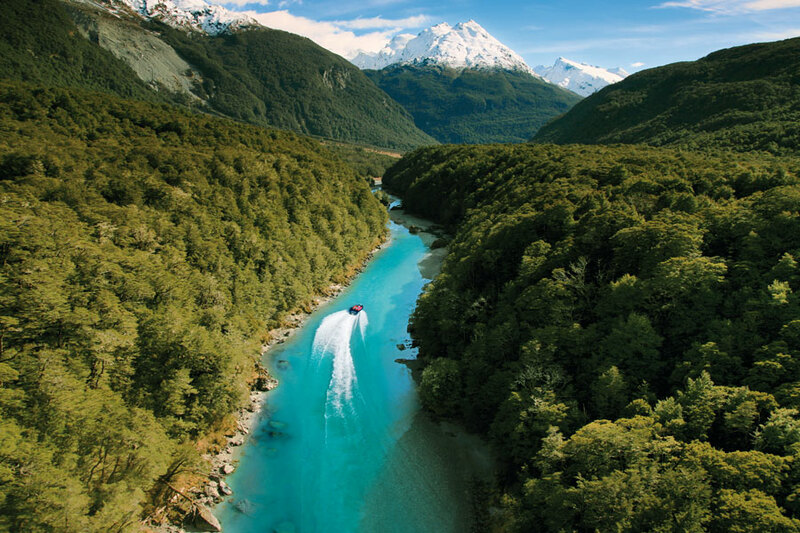 Take a leisurely cruise from Queenstown to historic Walter Peak and soak up 360 degree unparalleled NZ vistas. Additionally, head up the popular Skyline gondola, simply a must do for all in town. Enjoy towering views over Queenstown, Lake Wakatipu and surrounds as you admire the serenity from above. If you are on a romantic escapade or simply looking for a bit of R & R then Queenstown is a great destination of choice. Sit back and relax with a pampering at Body Sanctum day spa or combine some sightseeing with a touch of wine tasting in Gibbston Valley, also known as the ‘Valley of the Vines.’ Savour a touch of class as you sip on world class vinos and make sure you sample the local favourite, Pinot Noir. Queenstown has so much to offer that it really is hard to narrow down your recreational pursuit’s which is why one sojourn is never enough. I haven’t even scratched the surface here so you’ll have to experience this blissful setting for yourself but rest assured no matter what you do in this tourist destination, you won’t be disappointed, rather pleasantly elated….and hooked.